Over the in the UK the London underground has been getting a bit of attention lately, namely thanks to some ads from protein company Protein World. The ad scorned a heap of backlash on social media. Memes of it erupted, people started posing next to the ads and many of them were vandalised. A petition via Change.org has been issued to get the ‘body shaming’ ads removed. 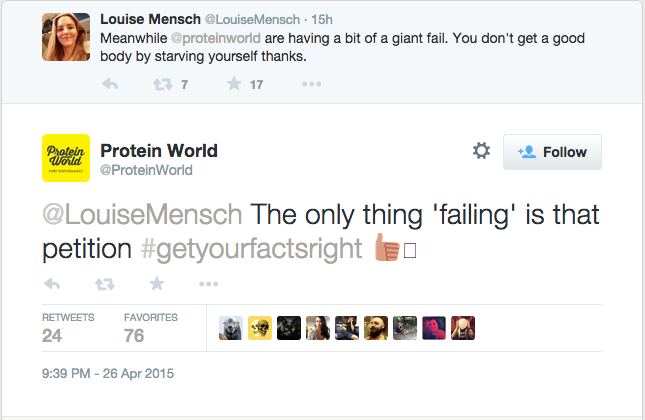 Protein World was somewhat less elegant in its retort. 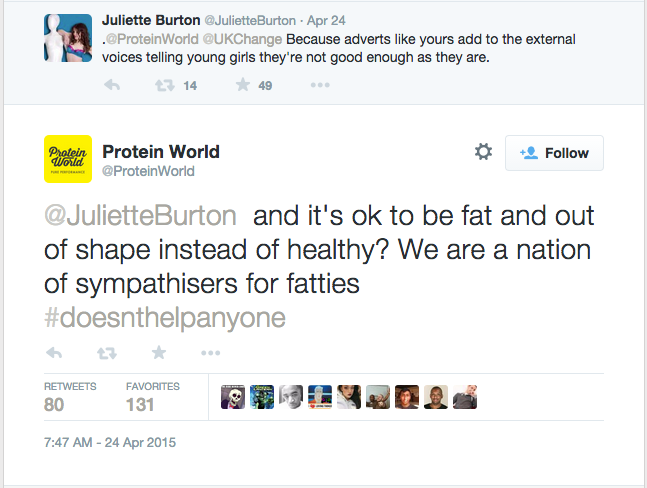 While many have taken to Twitter to let the company know exactly what they think of them, so too have Protein World. The company has hit back at Twitter commentators, telling one of them to grow a pair of balls. Lead image via The Mirror.